Yet another fine reason to sweat my mom’s home town. 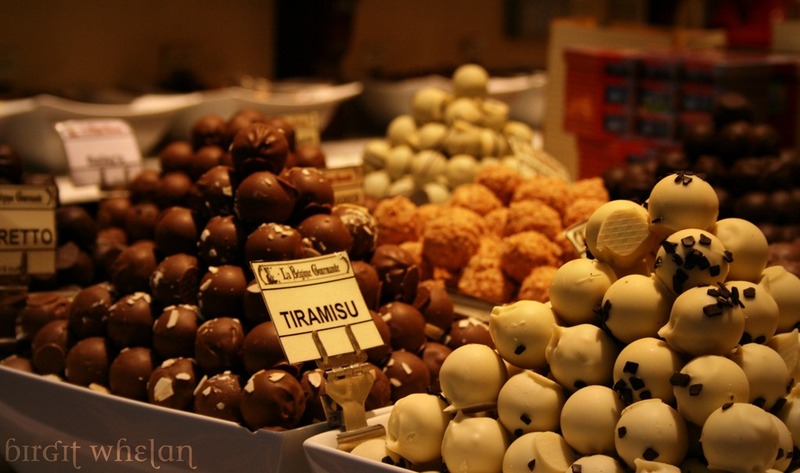 From the New York Times: Brussels: The Chocolate Trail. The big kids don't play. Yeah, the Belgians know their chocolate, as do the Swiss. On Christmas day, my brother-in-law brought over a couple boxes of Sprungli truffles he picked up in Switzerland. Milk chocolate, and dark chocolate. No nuts, bells, or whistles. The pure stuff. Exceptional treat. Chocolates for the masses shouldn't be included in the same food group.